The Faro Air is Faro Aviation’s entry into the in-ear aviation headset category. The Faro Air is a direct competitor with the Clarity Aloft in-ear headset we recently did an in-depth review on. Both headsets share a close resemblance in both form factor and specs. The big difference is the Faro Air comes in at $100 cheaper than the cheapest Clarity Aloft offering. As a result, the Faro Air is definitely worth considering if you are in the market for a functional, inexpensive in-ear headset. 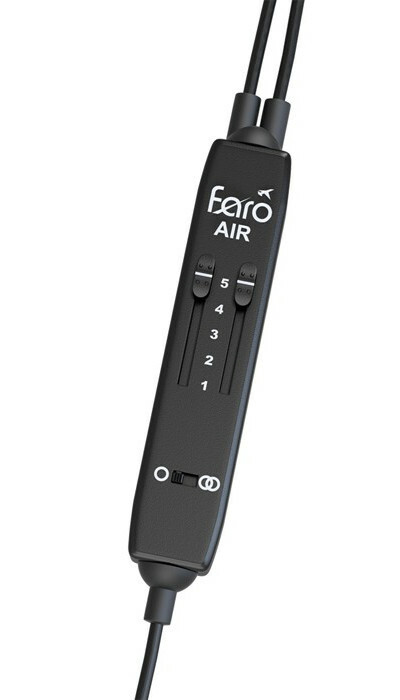 The Faro Air has a conventional controller box with dual-volume controls, unlike other in-ear headsets. Battery-less control pod with adjustable volume. Aux input (also works without a battery). Support for multiple plug types: twin-GA (PJ) plugs, Heli (U-174), XLR-5, XLR-4. Each of these headsets are very similar to each other, but each fills a certain niche. For example, the only TSO-certified headset is the Clarity Aloft. If you want to use one of these in-ear aviation headsets for professional flying, you will need to use a Clarity Aloft “pro” or “pro plus”. 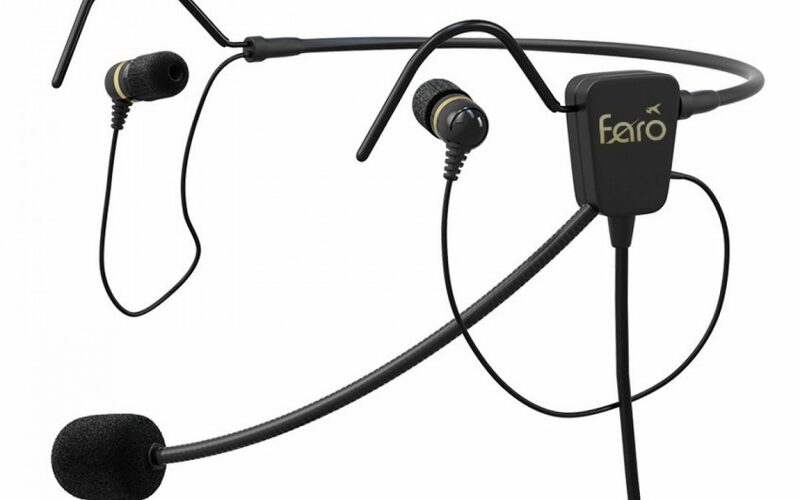 The Faro Air headset excels at being perhaps the best all-around in-ear aviation headset. Notably, it offers support for several different plug types and independent ear volume control, both features that are not available in the other in-ear headsets on the market. It offers all of this at the same price as the QT Halo and a whopping $100 less than the cheapest Clarity Aloft model. There are some compromises to be made, though. We think the Faro might be the least-ergonomic in-ear headset of the three offerings due to its low adjustability and bulky plastic attachment point for the microphone boom. Remember, this is all judged on a (limited) curve and the Faro is plenty comfortable. The Faro is also missing TSO-certification and does not offer Bluetooth; both of which are optional features for the Clarity Aloft. If you are looking at in-ear headsets on a budget or need a headset with something other than dual-GA plugs, you should strongly consider the Faro Air headset. It offers a really compelling feature package for a great price. As a friendly reminder – if you like the Faro Air, you should definitely consider the CRAZEDpilot ITE1, which is less than half the price and nearly identical to the Faro Air.